Billy Davis, 62, of Blytheville, passed away Saturday, March 23, 2019, at St. Bernards Medical Center in Jonesboro. Billy was born in Blytheville to William and Ruby Austin Davis. He worked as a brick layer and later worked for Hinson Signs before retiring. He had a personal relationship with the Lord and was an active member of Lone Oak Baptist Church. Billy was a graduate of Blytheville High School and was a lifelong resident of Blytheville. 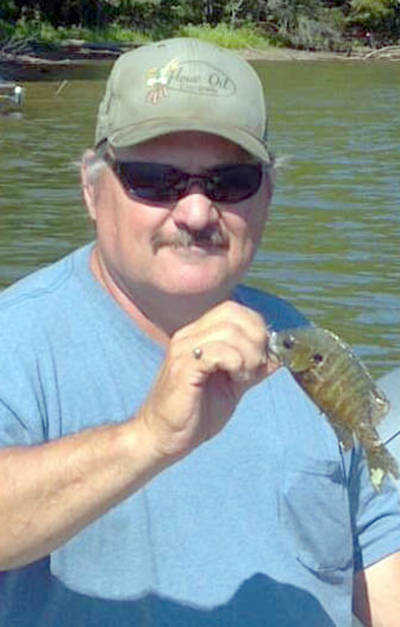 He enjoyed hunting, fishing, camping and dirt track racing, but most of all, he loved spending as much time with his family and friends that he possibly could. He was preceded in death by his parents; three brothers, Charles, Jerry and Jimmy Davis; and one sister, Linda Davis Childers. Billy leaves his wife, Diane Stevens Davis of the home; two children, Kristin Franks and her husband James of Gosnell and Matthew Davis and his wife Ashley of Caraway; brother, Danny Davis; two grandchildren, Christian and Cadence Franks; and a beloved nephew, Chuck Davis. Funeral services will be held Thursday, March 28, at 10:30 a.m. in the Cobb Funeral Home Chapel with Rev. Mitchell King, Jr. officiating. Burial will follow in Dogwood Cemetery. The family will receive friends Wednesday evening from 5-7 p.m. at Cobb Funeral Home.